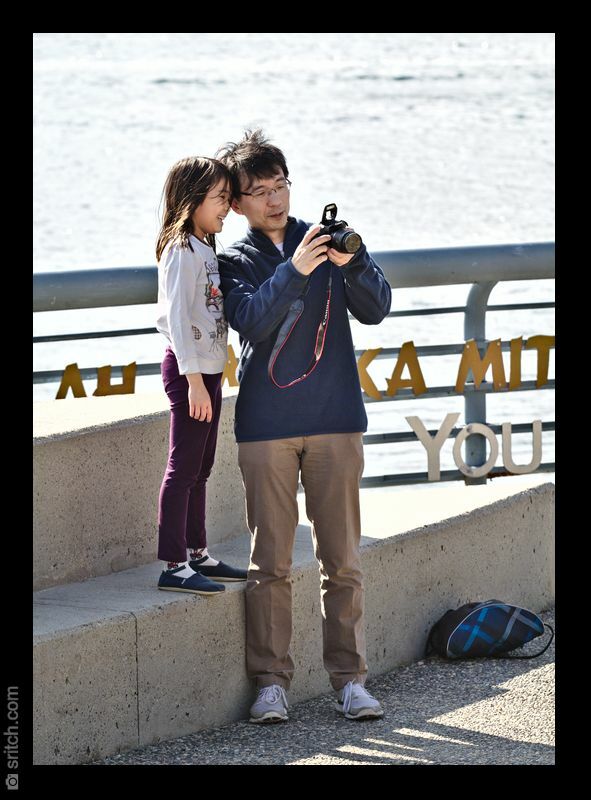 This father is showing his daughter her photo, just after taking it at the new Vancouver Convention centre. Look at her face and how delighted she is. People should have prints of their kids in the house. It shows them that they are valued member of the family. I think it is really important to show a family as a family unit. It is so helpful for children to see themselves as a valued and important part of that family unit.